Default Folder X 5.3 is now officially out! The big deal is, of course, full support for Mojave. That includes Dark Mode, Mojave’s new privacy controls, and the latest changes to the standard Open and Save dialogs. Default Folder X 5.3 should just work, though you will be prompted by Mojave to give it permission to control the Finder — that access is necessary to make Default Folder X’s ‘Finder-click’ feature work. In addition, I’m excited to have found a way to improve Default Folder X’s tracking of recently-used files. In previous versions, Default Folder X relied largely on the ‘recent items’ tracking that’s built into macOS. That method had some significant limitations, mainly that it didn’t “see” files that were opened in apps that lack an ‘Open Recent’ menu item, like Safari and Firefox. Given how much stuff we upload to websites and open in web apps (like gmail) these days, that was a pretty big shortcoming. With Default Folder X 5.3, you’ll now find those files included in your Recent Files menu as they should be. And on the how-many-times-has-this-been-requested front, you can now add separators to Default Folder X’s Favorites menu. That helps keep things visually organized so you can quickly get to the Favorite folder you’re after. To add a separator, open your Default Folder X preferences, click on the Folders tab, select Favorites, then click the ‘+’ button at the bottom. There’s now an option to create a separator. Once you’ve added one, just drag it up and down in the list to place it where you want. There are also user interface improvements for the drawer that Default Folder X attaches to Finder windows, compatibility with iBooks and Newtek Lightwave, and a number of bug fixes and little tweaks. There’s a list of changes along with download links on the Default Folder X Release page – go get your copy now! 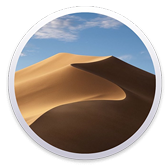 This entry was posted on Wednesday, September 19th, 2018 at 6:03 am	and is filed under Default Folder X, Mojave. You can follow any responses to this entry through the RSS 2.0 feed. You can leave a response, or trackback from your own site.